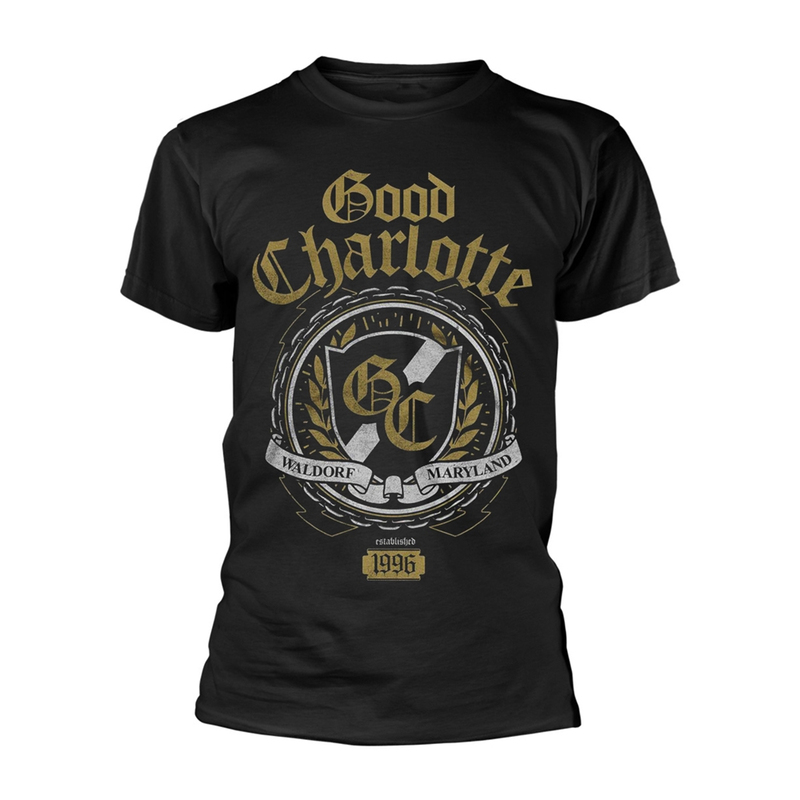 The East Coast post-grunge/pop-punk outfit Good Charlotte was founded in 1996 by identical brothers Joel and Benji Madden. Inspired by a Beastie Boys performance on their 1995 Ill Communication tour, the Maddens enlisted the help of several high school classmates in assembling a band that combined the energetic elements spawned from '70s punk with the sentimental ballads of mainstream corporate rock. Good Charlotte was soon formed, with Joel Madden handling lead vocals and Benji Madden playing lead guitar. Paul Thomas (bass) and Aaron Escolopio (drums) completed the early lineup, while Billy Martin later joined as a second guitarist. Although the band hailed from the suburban town of Waldorf, MA, Good Charlotte quickly made a name for itself in nearby Washington, D.C., playing the WHFS annual rock show HFSFestival in 1998 and 1999. A year later, the band issued its spunky self-titled debut on Epic, and the single "Little Things" made minor waves. The Madden brothers scored a gig as MTV VJs and soon were all over the network's late-night rock show All Things Rock, which gave their band's profile a boost. The two spent time behind the scenes writing songs for their sophomore album, but Escolopio left the group to join his brother in Wakefield before recording could commence. Josh Freese was quickly enlisted as the band's temporary drummer (Chris Wilson would later replace him permanently). By the fall of 2002, Good Charlotte was ready to release The Young and the Hopeless, and their expanded audience was ready. Singles "Lifestyles of the Rich and Famous" and "Anthem" catapulted the band into the mainstream in 2003 and eventually drove the album into triple-platinum sales; shared dates with New Found Glory for the third annual Honda Civic Tour were equally successful. In 2004, Good Charlotte returned with The Chronicles of Life and Death, which hit number three on the Billboard charts but failed to sell as well as the band's previous album. Wilson exited the band in mid-2005, citing health reasons, and later went on to join the Summer Obsession. Dean Butterworth (who had previously drummed for Morrissey, among others) joined up in time for sessions for the crew's fourth album, which were held in Vancouver and away from the Madden-loving paparazzi (especially Joel and his then-girlfriend Hilary Duff). The much more varied Good Morning Revival appeared in late March 2007, spearheaded by the single "The River," which featured M. Shadows and Synyster Gates of Avenged Sevenfold.